Did you know I am a freelance writer? Yep! I am and I enjoy it a lot! I’ve officially written close to one hundred articles for other blogs, websites, and magazines. 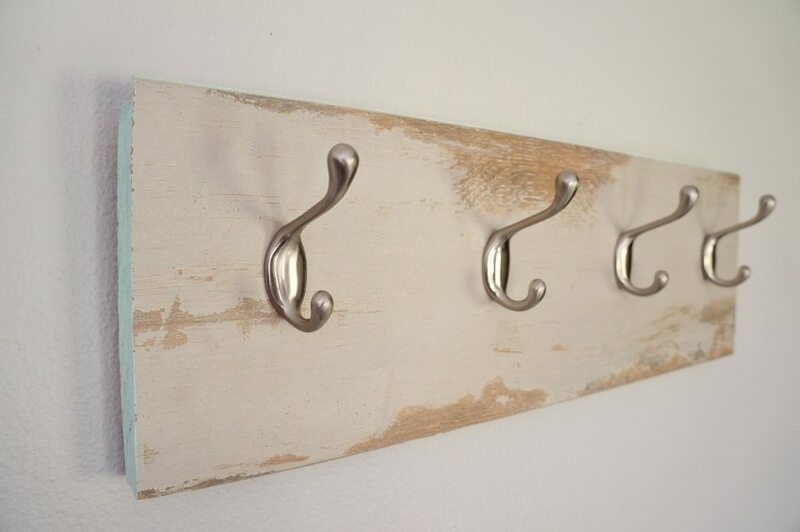 Today I just want to share a tutorial for a Repurposed Laminate Flooring Coat Hanger I did on Bestlaminate Blog. It may be one of my favorites of all time so far. I actually wrote for Bestlaminate flooring blog back in 2012 for a few months. I’m happy to say I am back on their creative team as of April of this year. For this first project I was given a few beautiful pieces of laminate floor planks and was challenged to make some fun repurposed DIY projects and share them on their blog. 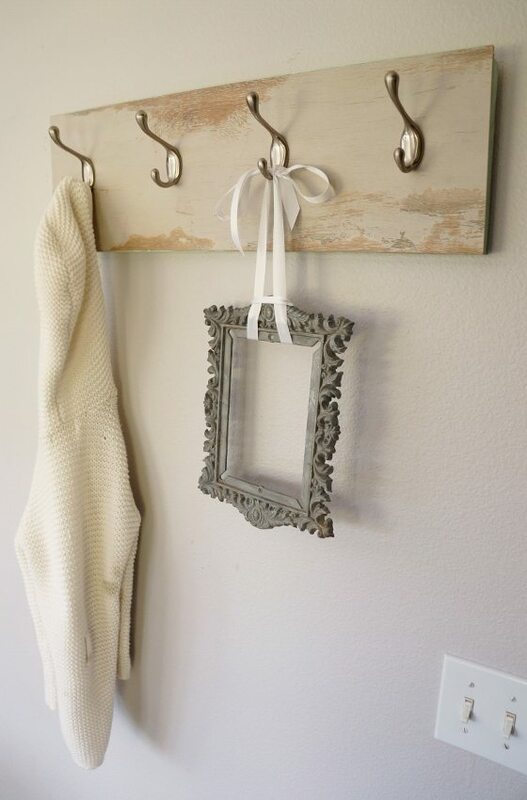 I decided to make a coat hanger out of a piece with some shabby chic flare. This project only took about an hour and my husband and I did it together for a Saturday weekend project. Originally I was going to use it as a decorative piece and hang photo frames from it in varying lengths with satin ribbon. Since then, however I decided to use it in my daughter’s bathroom/guest bathroom. We have a lot of family that visits us and they always need a place to hang their towels, so it now hangs by the guest bathroom shower door for that purpose. Visit Bestlaminate to view the step by step photo tutorial of my project! What a great use for excess flooring! I love how you are resigns an often discarded item! I am starting a new link party tomorrow with Refresh Living at 7pm CST and we would love to have you come link up with us! Just so cute! Love it and pinning! I did something similar with two laminate samples, but I like yours better. Its simple and has more hanging space. Great reuse of materials that would otherwise end up in the trash. Cool idea! I love finding projects that are quick and functional. Thanks for sharing with us at the #HomeMattersParty this week! Thanks for having me, Nicole!